Un relajante Lake View Condo le espera con una vista increíble del lago Tahoe! 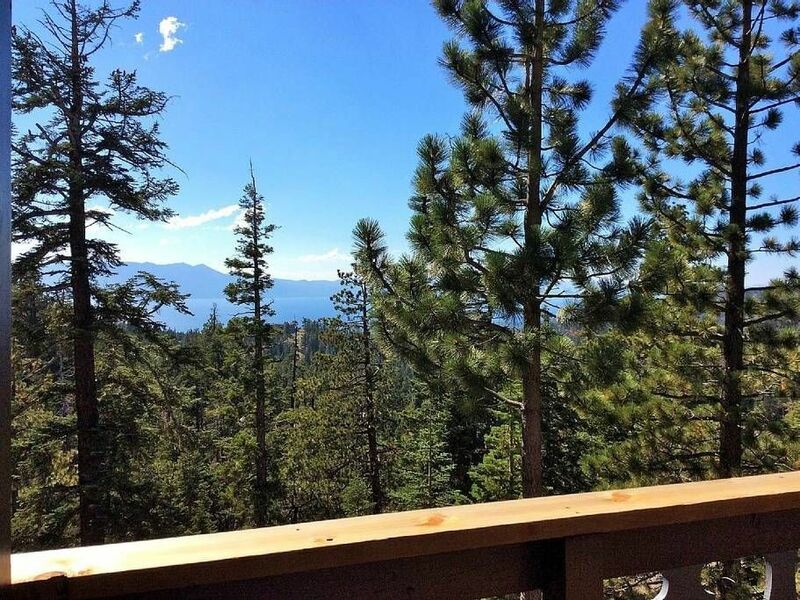 Un relajante Lake View Condo le espera con una vista impresionante del lago Tahoe! Esta hermosa parte superior de la montaña en el extranjero Heavenly Valley, con una piscina comunitaria y jacuzzi, tres dormitorios, dos baños, nuestro condominio duerme seis, hasta 8. Es un lugar perfecto para relajarse durante todo el año! Pase sus vacaciones tomando el sol en la playa de Nevada o Zephyr Beach tanto dentro de una unidad de 10 minutos desde el condominio. En invierno, los remontes Boulder y Stagecoach de Heavenly Ski Resort se encuentran a menos de una milla de distancia y la telecabina Heavenly's California está a solo 7 minutos en coche. Los días llenos de kayak, raquetas y juegos de azar están seguros de mantenerlo ocupado, y un refugio tranquilo estará esperando su llegada cuando esté listo para una comida fresca, casera, juegos por el calor de una chimenea y remojar en una bañera de hidromasaje Jacuzzi . Cocine sus comidas en una cocina bien equipada que incluye nuevos electrodomésticos, así como las herramientas culinarias para obtener su Top Chef! , Una profunda, jacuzzi, un paseo a mitad de camino a la zona de la piscina de la comunidad, nuestro lugar le invita a relajarse mientras disfruta de las impresionantes vistas del lago! ¡Nos encantaría saber de usted y ayudarlo a planificar sus próximas vacaciones! Only reason not 5 stars was one of the beds wasn't made up when we got there. Texted the owner and a housekeeper showed up with sheets and made the bed. Thanks for your input and we will work on making 5 Star for you nest time. It is nice place to stay. It is nice place to stay, but it is NOT for sleep 8 it is for 6 people and a couch in the living room. We loved every thing else. CLEAN AND TIDY! Great location. This place was perfect for our stay. Cute and cozy and very well taken care of. The only negative would be that the pipes were loud and you could hear people walking on the decks above, but hey, it’s an apartment so what do you expect. The positives far outweigh the noise. Lake view and close enough to town without being right in the chaos of the casinos. Would stay again. Glad to hear you enjoyed your stay and hope you enjoyed the view of the lake ! This condo was perfect for our family with two college students as everyone had plenty of room to spread out. The washer dryer is an added bonus! The kitchen was stocked well enough that we were able to eat several meals here and loved the remodel. Would happily stay here again on our next trip to Tahoe. This condo was just the perfect size. It's nicely remodeled and has a beautiful view. Parking got a little tricky at times with all the cars, but I think that's pretty normal for the entire Lake Tahoe area. It is on the 1st level, which is nice. The only slight downside, in my opinion, was that you hear everyone coming and going. The beds were comfortable, the showers are nice. The kitchen is equipped with just about everything you need. We did purchase a few small throw-away containers for food as there wasn't any type of containers. I didn't feel it was worth contacting anyone for since they were such small items. The pool and hot tub were nice as well. We did need additional information that didn't get sent to us for check-in, but the response time was quick and Zorka was very apologetic for the oversite. Overall, this is a very nice place to stay. Would definitely recommend staying here and will stay again. Zorka was very receptive when I called. The smoke alarms were all gone, but Zorka had the maintenance man there within 1 hour. The unit was clean but you could tell it was done in a hurry, because the floors were dirty and the carpet had lint/loose material on them, especially down the stairs. Unused food was left in the cupboards but the maintenance man removed it when I requested it. I believe this an excellent unit for skiers and young adults. Do not think it is great for children only because you have to drive 15-20 minutes for activities (Beaches, etc). Unit is not air conditioned and that may be good to know upfront (No ones fault). After the third day, there was a foul trash//sewer smell that permeated when you entered the front door. We had to leave the window and doors open to alleviate the scent. You could also smell the same scent outside of the unit. My daughter and her family left a few days early because the smell was bad in the back bedrooms and there was no ventilation. Pipes were very loud and noisy from upstairs units. Parking was a huge problem. People parked in the middle of the parking lot and left their cars there for days. You had to drive around cars to park. A tenant left his trailer with a water craft in a space for 4 days. Never moved!! Although we did enjoy Lake Tahoe, this would not be a place for my family to return to..
Hello Mr. Siciliano, we addressed every issue immediately, some people appreciates condiments and a few things left behind to cook, never had a complaint for those About the smell, there was a sewer leak in the neighborhood, nothing we could have done about it. Our place has usually great reviews, an amazing view of the Lake and very happy people, parking is always an issue in the summer, not just in the complex, but everywhere in Tahoe. Mr. Siciliano called at least 10 times before and during his stay, and also got an early check in, thanks for the review, wish you the best in your future travels.